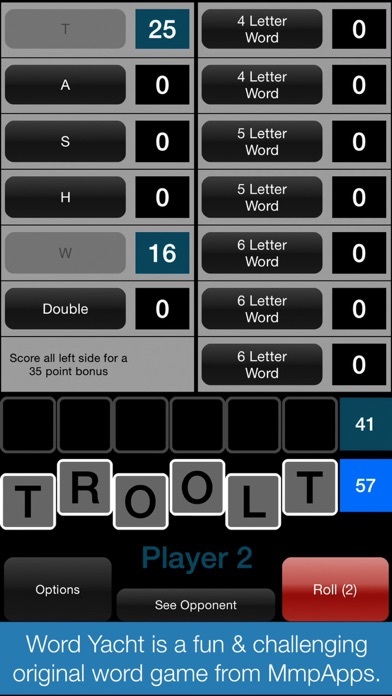 If you love word games then you will love Word Yacht. 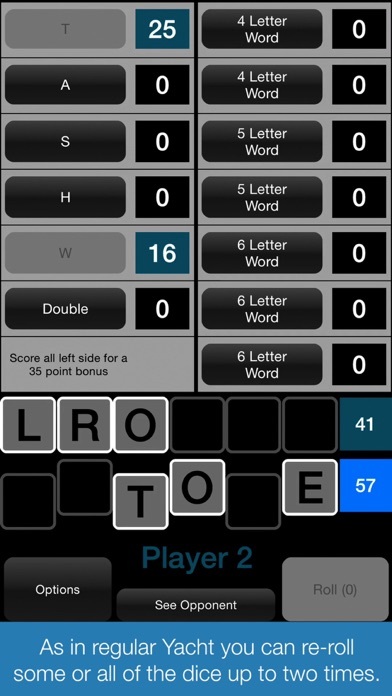 Word Yacht is a fun and challenging original word game. 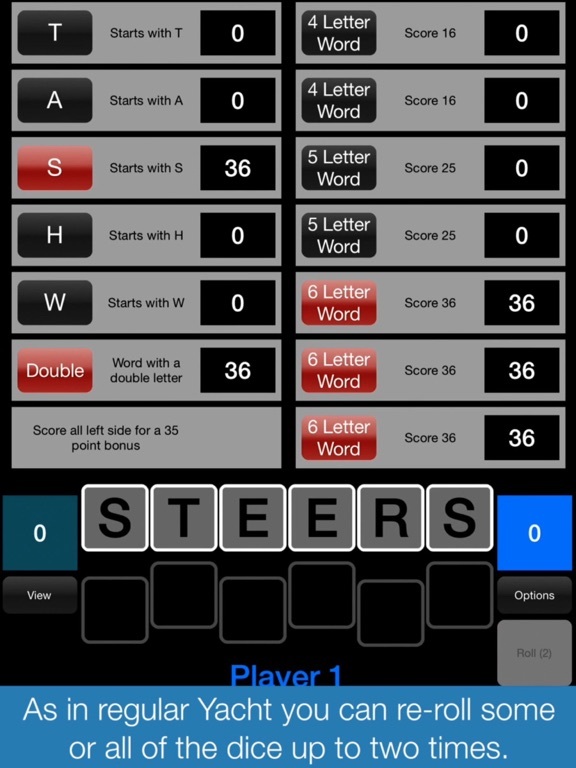 Inspired by the five of a kind dice rolling game Yacht (also known as Yahtzy) Word Yacht replaces numbers with letters and number combinations with words to make an exciting new game for word game lovers of all ages. 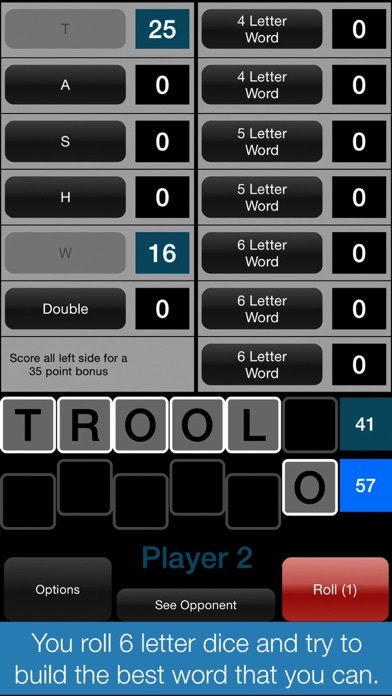 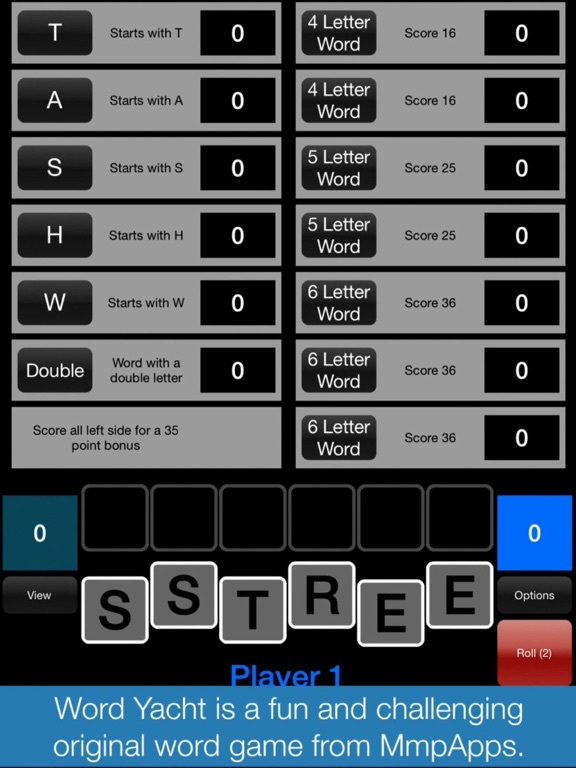 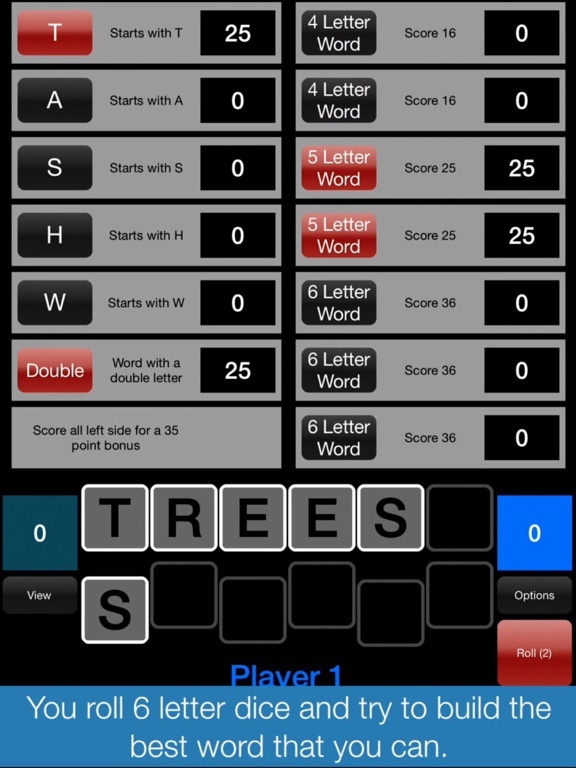 Roll 6 letter dice and try to build the best words that you can. 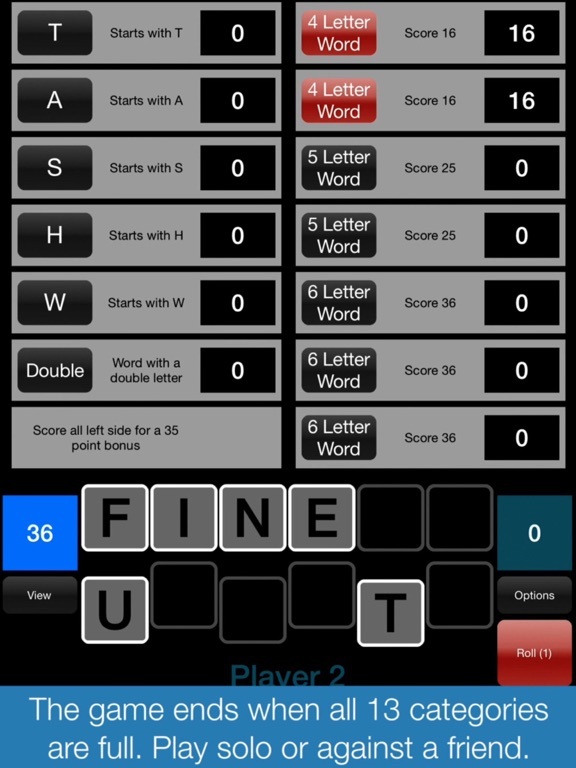 You can re-roll any or all of the dice up to 2 more times each turn but at the end of the turn the resulting word must be assigned into one of the 13 scoring categories even if the result is 0 points. 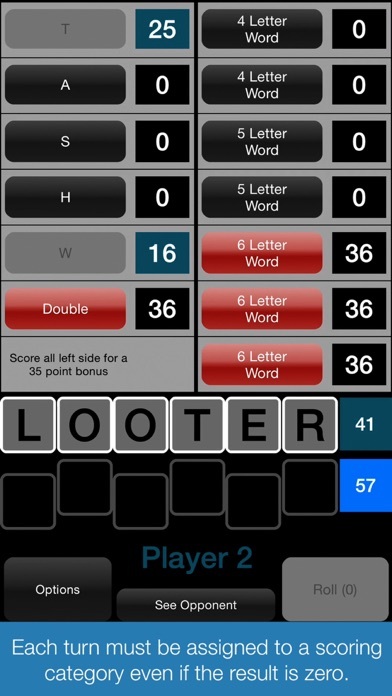 Longer words make for higher scores and there is a lot of strategy involved in picking the right scoring category and in deciding which dice to keep and which to re-roll. 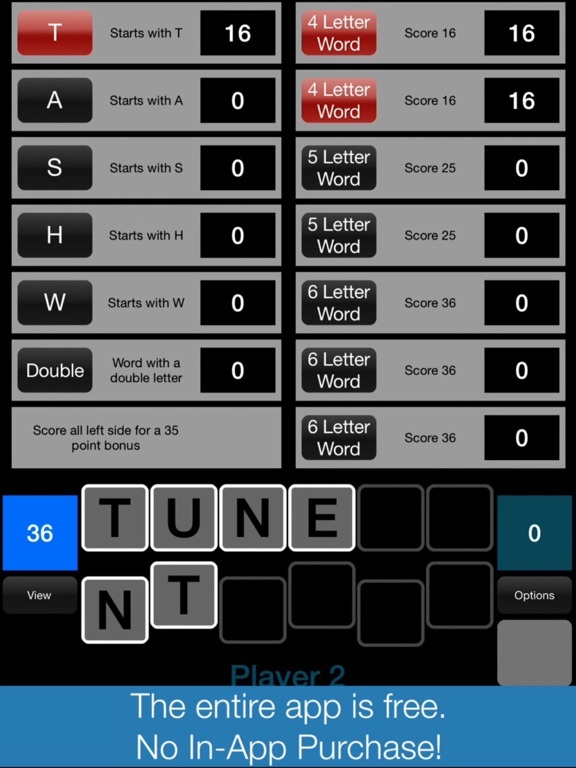 - Play solo or against a friend with Pass And Play. 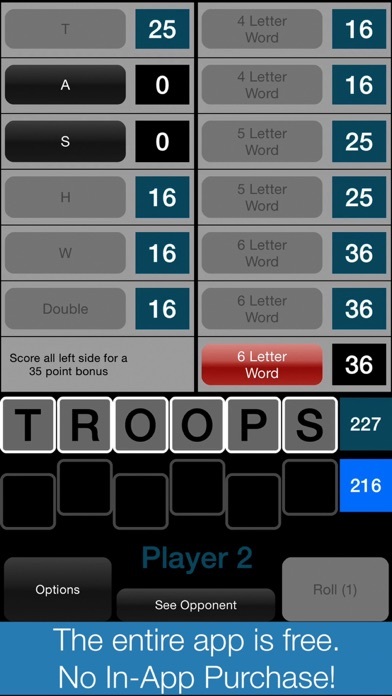 - The entire app is FREE with no In-App Purchases!